I have recently spent a Saturday on a “keeping bees” workshop. It was riveting. I loved it. Sue Bird ran the workshop and as she has fifty bee hives she certainly knew her stuff. But it was obviously more than a business for her and she loved her bees. I came away loving them too and full of admiration for them. 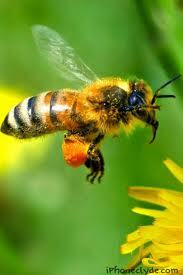 Did you know that the worker bees are all female. That the queen bee makes one mating flight in her life and that the drones all think yipidy do da and race after her, elbows sharpened, in full buzz, to try and be “the one?” When the hive gets too full the old queen if slimmed down again (by feeding her less) so that she can fly again. She will then leave the hive taking a swarm with her and leaving a young queen in her place. I wish Sue had a website I could point you in the direction of – her workshops are so worth going to. Anyway back to business. Just at that moment Neal’s Yard Remedies came along and asked us to supply organic yellow t shirts. 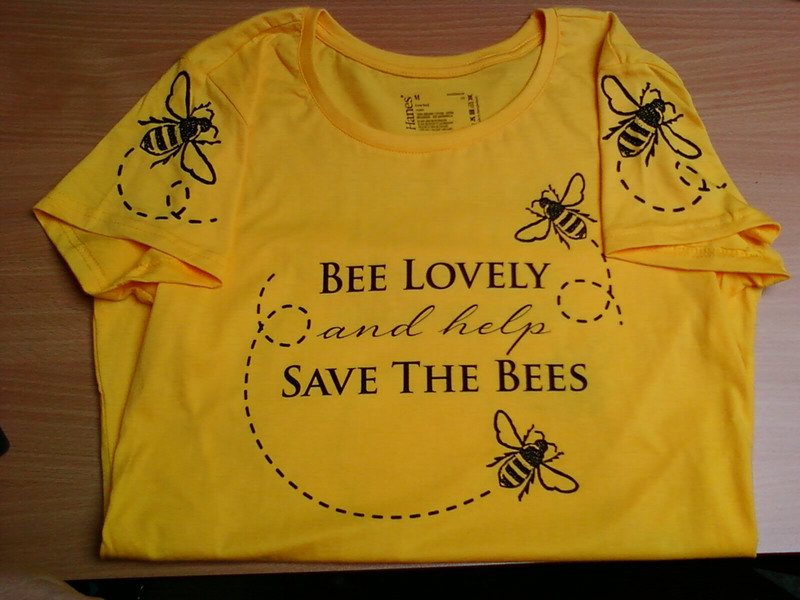 Printed with their “Bee Lovely to Bees” design. 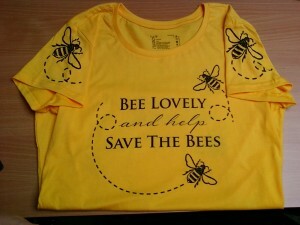 You see they have a campaign to help the endangered honey bee and have an online petition which you can sign here. They want to promote banning particular pesticides which directly impact Bees. SIGN UP! Jenny worked hard on this order and the final result was certainly very effective. It was great that Cotton Roots organic t shirts were selected for this promotional campaign. 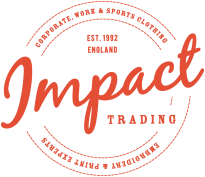 We are proud to have supplied Organic and Fairtrade garments to another outstanding company. I was especially rewarding that it was right at the time I was learning all about keeping bees.